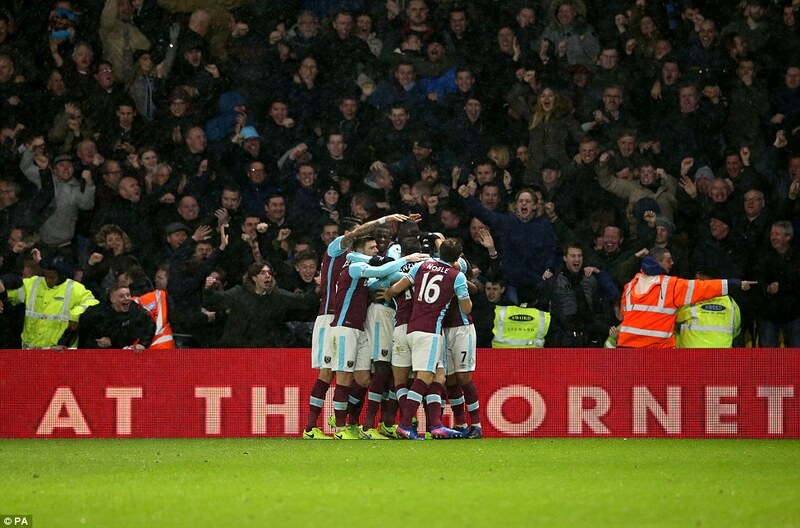 When Michail Antonio’s shot hit off one post then the other, West Ham thought it summed up their afternoon of rotten luck rather accurately. 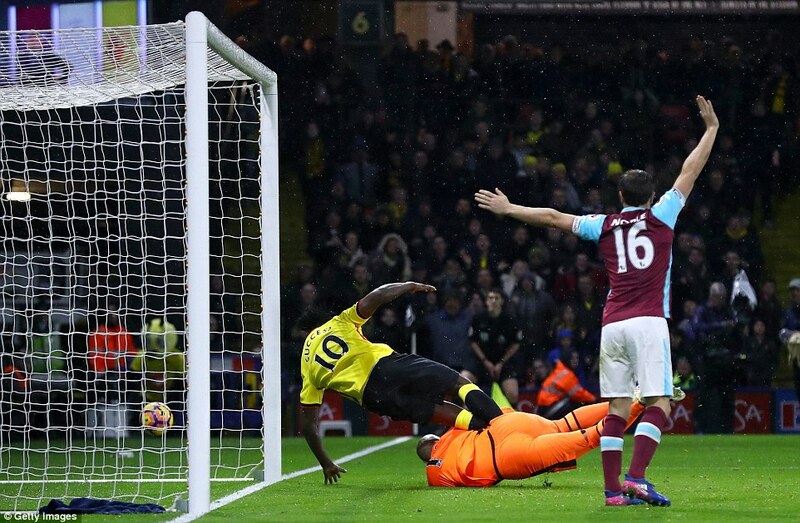 Referee Craig Pawson had awarded Watford a penalty, then refused to return the favour in the second half when Cheikhou Kouyate felt he was felled inside the area. They had seen shots go to waste and good chances come to nothing. 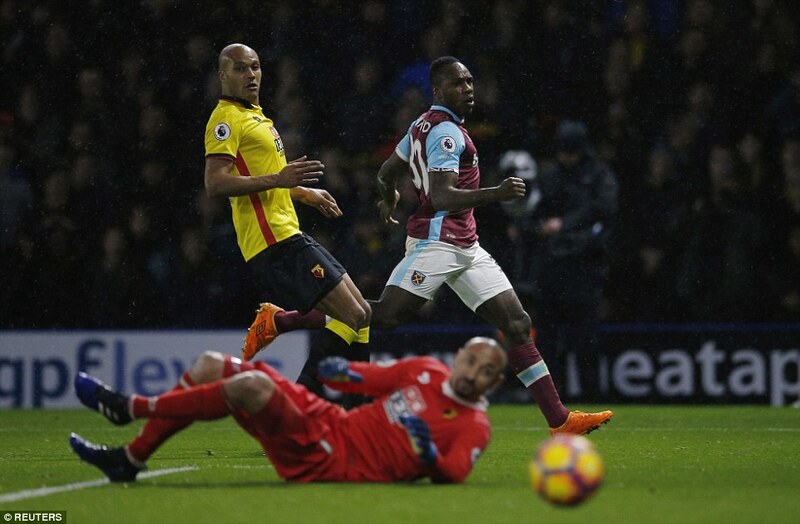 Thankfully for Slaven Bilic, though, the rebound from roadrunner Antonio fell to Andre Ayew and the substitute scored to cancel out Troy Deeney’s opener. It was hard work. 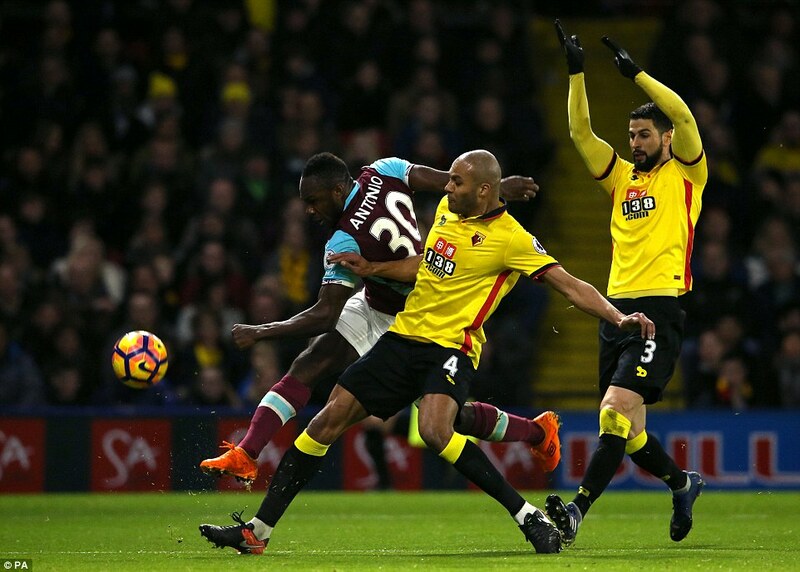 West Ham deserved at least a draw at Vicarage Road and had to see out the final few minutes with 10 men after Antonio was shown a second yellow card. 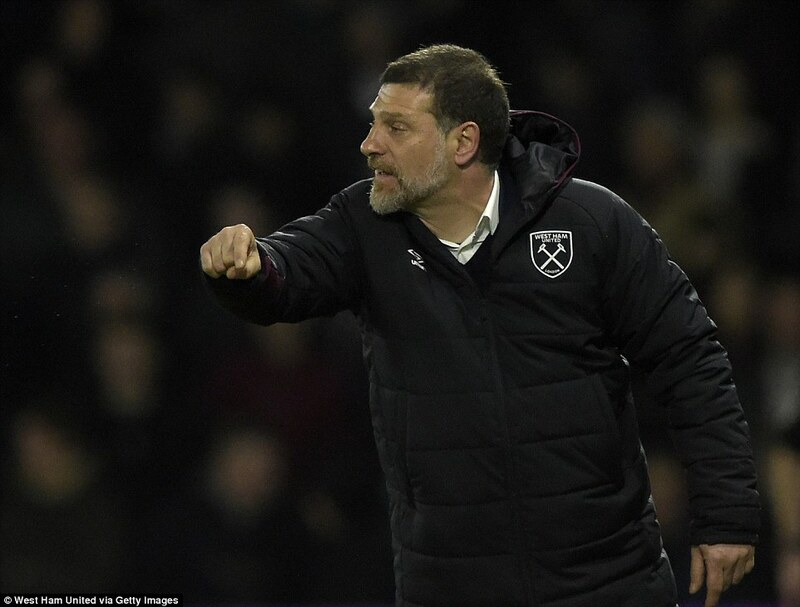 Bilic was back on the sideline after avoiding a ban for throwing a TV microphone in frustration following their game against West Brom. 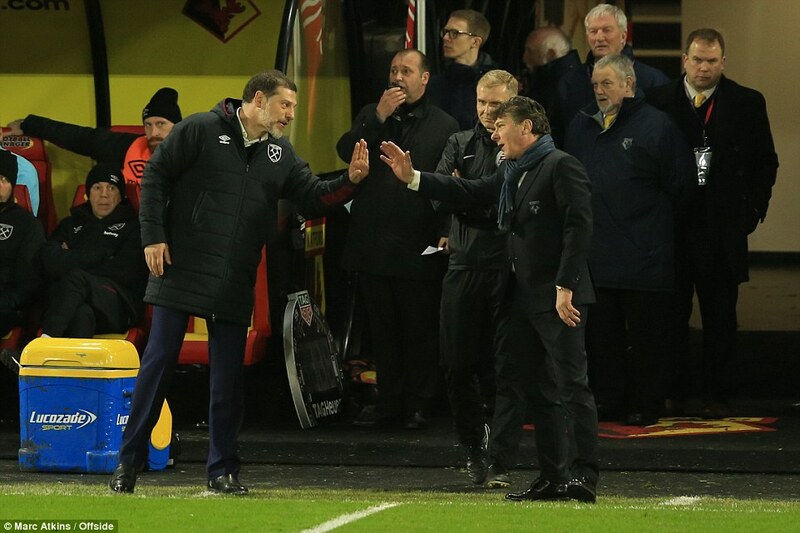 Though he endured a frustrating evening, no touchline equipment was harmed here. 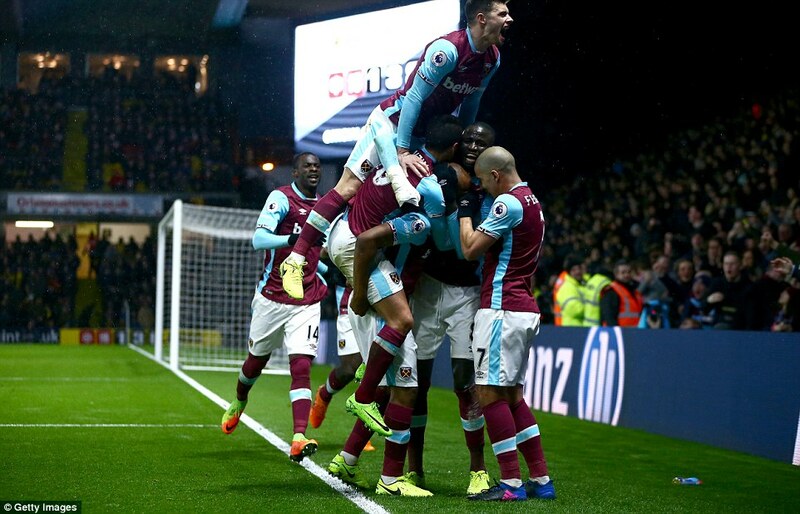 ‘I have mixed emotions,’ Bilic said. ‘I’m so pleased with the way we played. We definitely deserved to score an equaliser. ‘We were so much better in the second half that we deserved to win the game. I’ve very proud of the team. 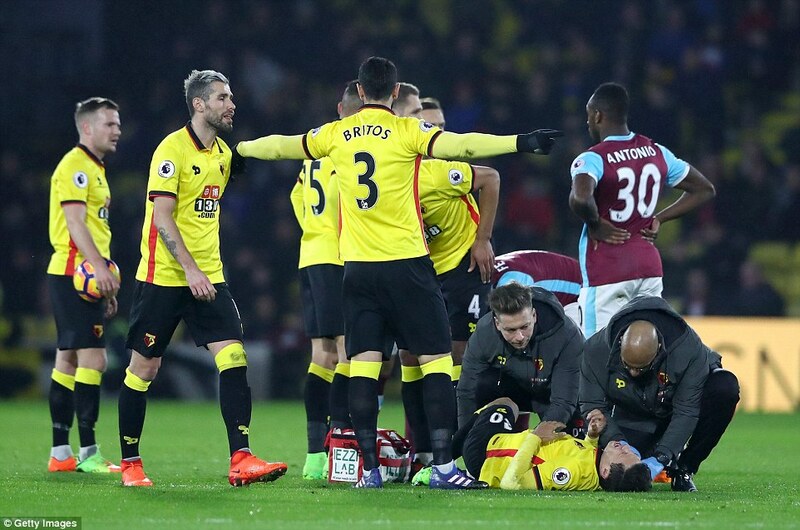 As for Watford manager Walter Mazzarri, his day got worse when former West Ham forward Mauro Zarate was taken off on a stretcher after suffering what looked like a serious knee injury. 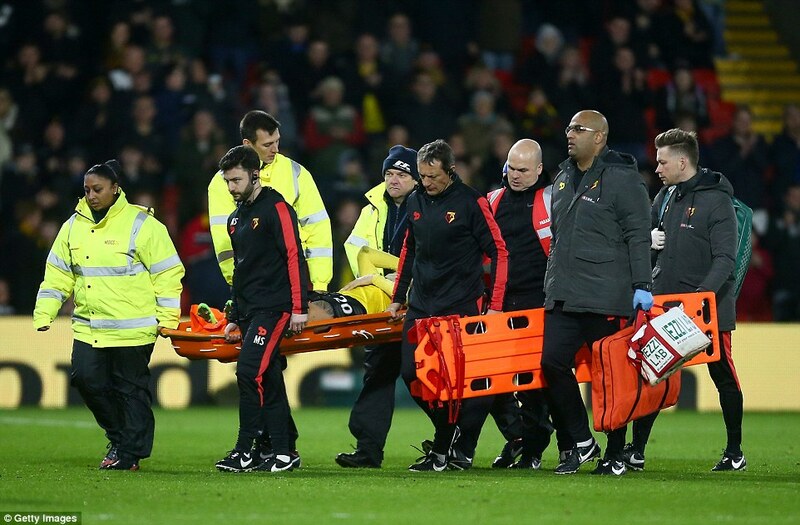 A lengthy stoppage was required and Watford will check on him on Sunday. 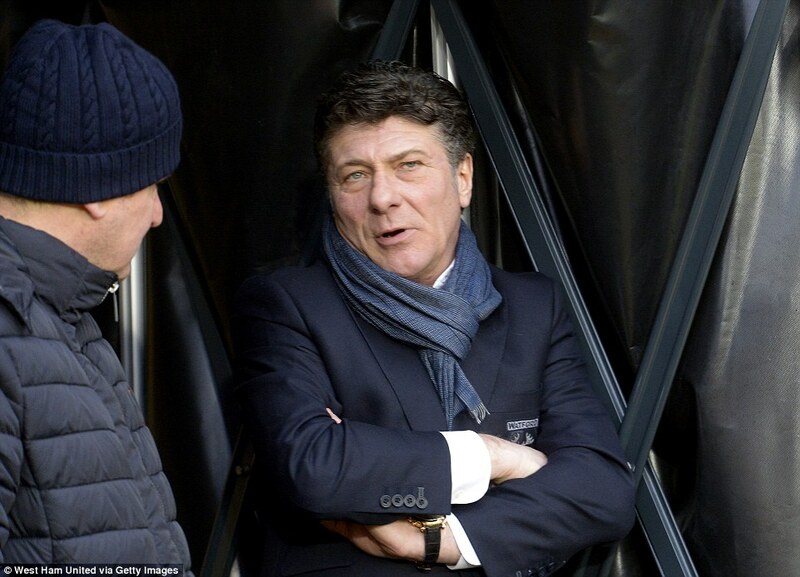 ‘He was in a lot of pain and in tears,’ Mazzarri added. 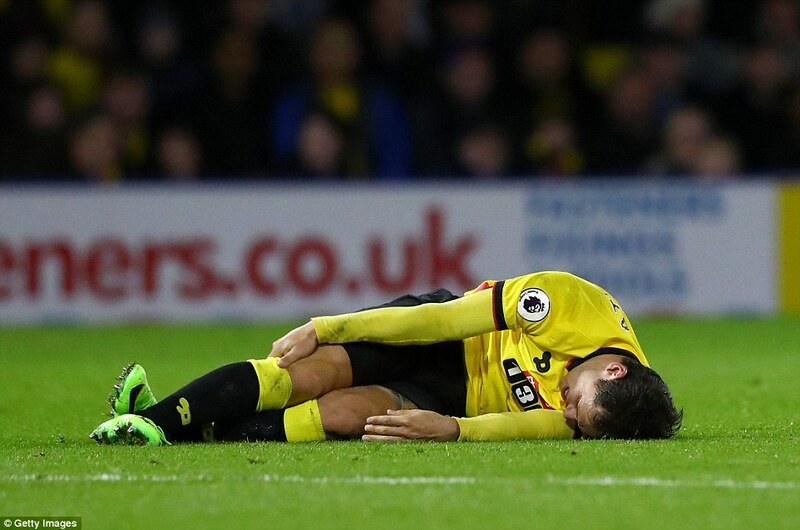 At Vicarage Road there was no Andy Carroll, the striker who travelled to Dubai for warm-weather training last week but is still suffering from a groin injury. He is one goal short of 50 in the Premier League and the wait will go on. The same goes for that telephone call from Gareth Southgate. 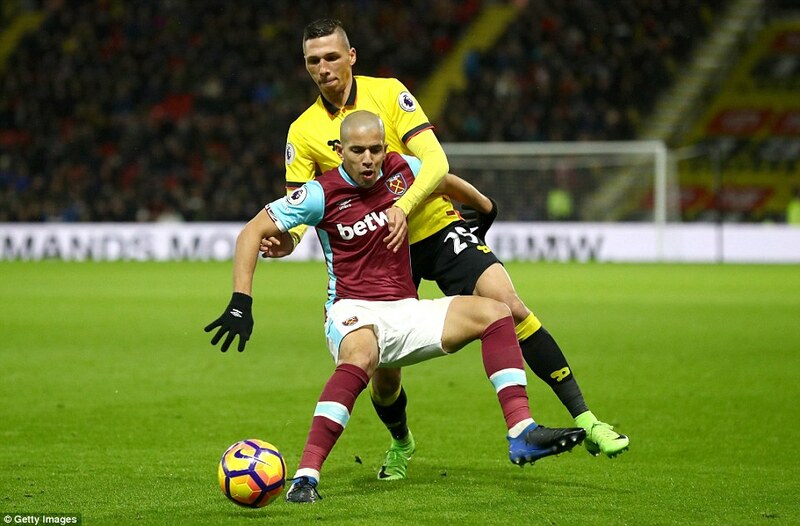 England’s manager wants to watch the 28-year-old ahead of March’s international break but, with Carroll missing for a second successive match, he is running out of chances. With Antonio now banned for West Ham’s game against Chelsea next week, Bilic is hoping Carroll will be back. ‘We spoke on Friday with the guys from the medical department,’ Bilic added. ‘They assured me he will start training with us on Tuesday or Wednesday. 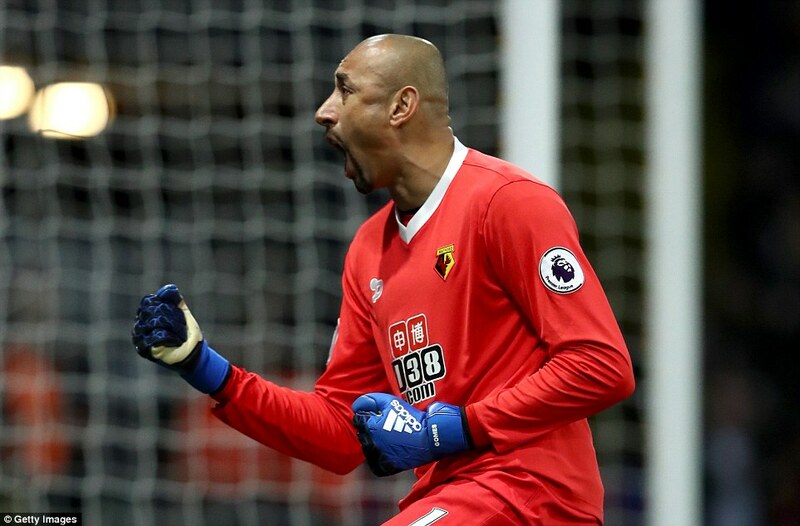 It was in September when Deeney aimed a dig at West Ham, saying they disrespected Watford by showboating at the London Stadium. Here he had a point to prove. 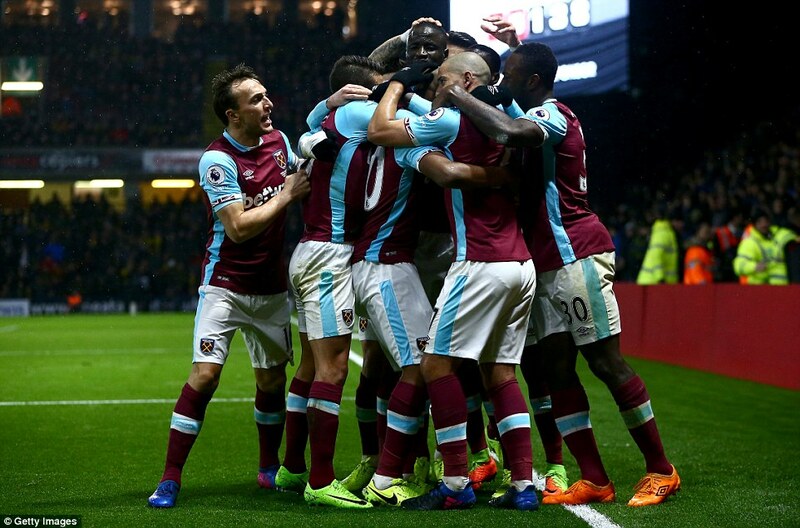 The game was only two minutes old when Kouyate tripped Zarate inside the area. It was clumsy and Pawson pointed to the penalty spot. 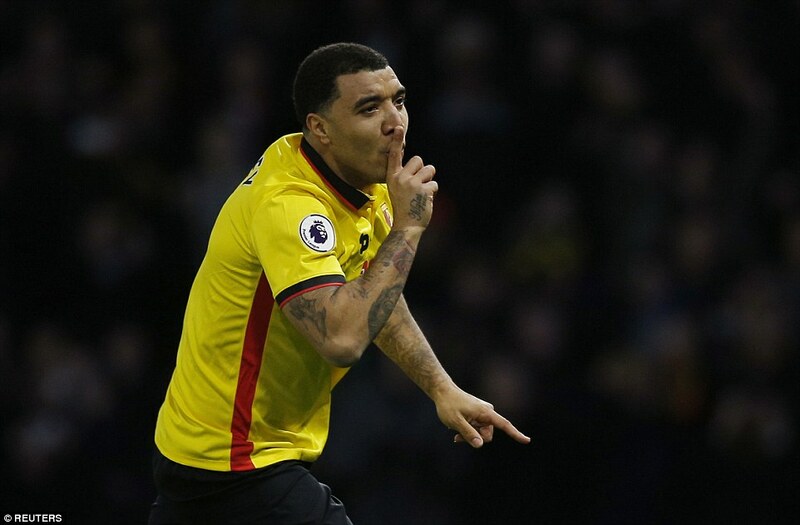 Mazzarri didn’t watch Deeney take it, instead turning away as the Watford captain scored and celebrated by shushing West Ham’s supporters. 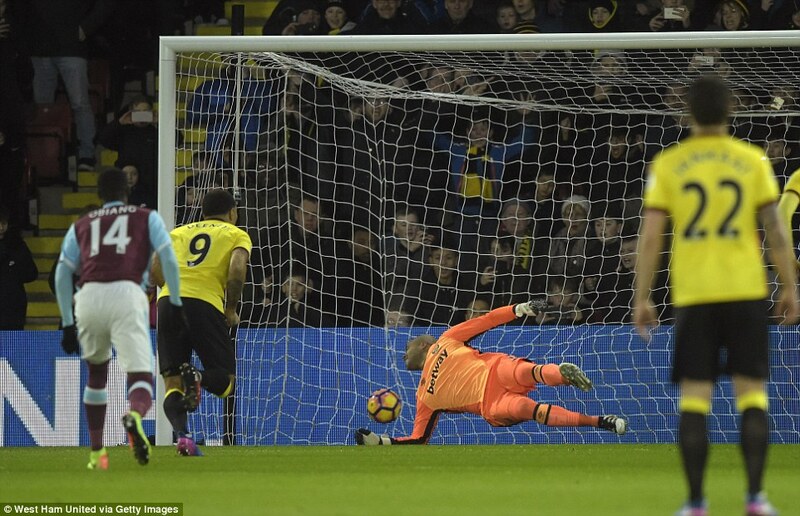 Deeney’s opener gave Watford a lead to defend and in the 45th minute, a cross from Aaron Cresswell found Robert Snodgrass. Unable to control it, the chance went to waste. 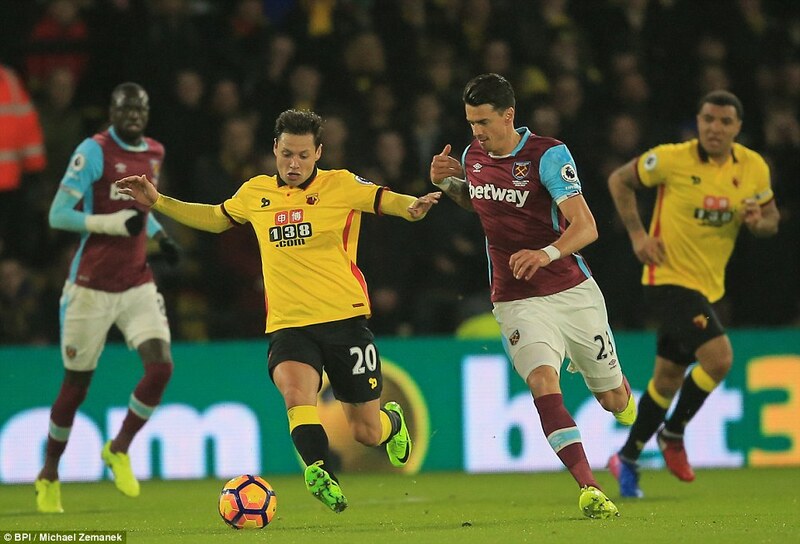 It was in the build-up to that which led to Zarate hurting his knee. 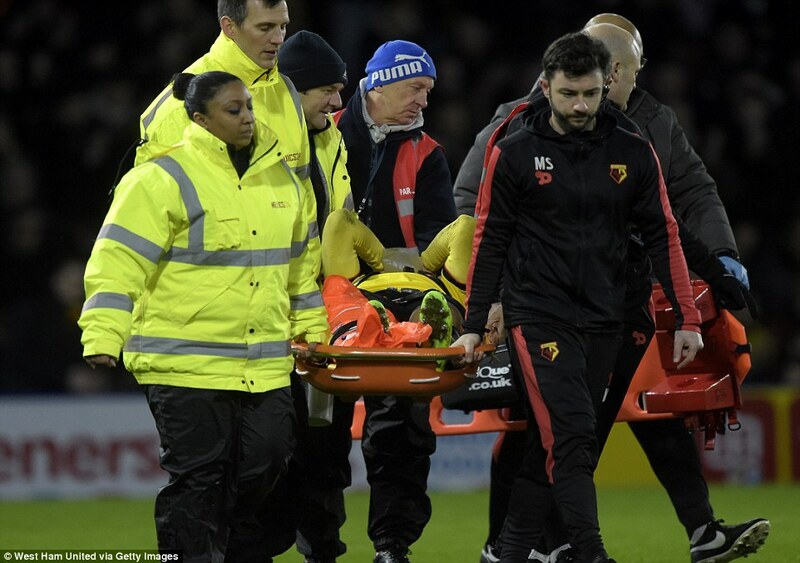 After a lengthy stoppage, the 29-year-old was taken off on a stretcher to applause from both sets of supporters. 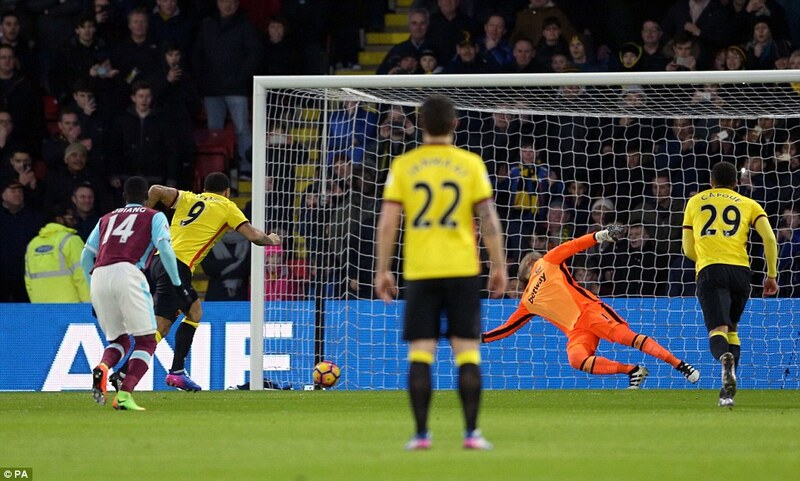 The first half had seen one shot on target – Deeney’s spot-kick – and West Ham had work to do. 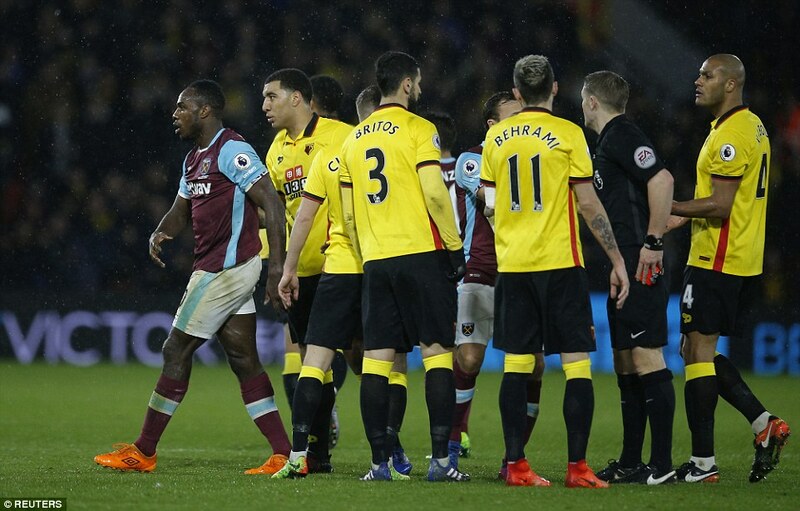 They wanted a penalty in the 50th minute when Kouyate went down after a tussle with Niang. Pawson decided it was a dive and gave a free-kick to Watford. 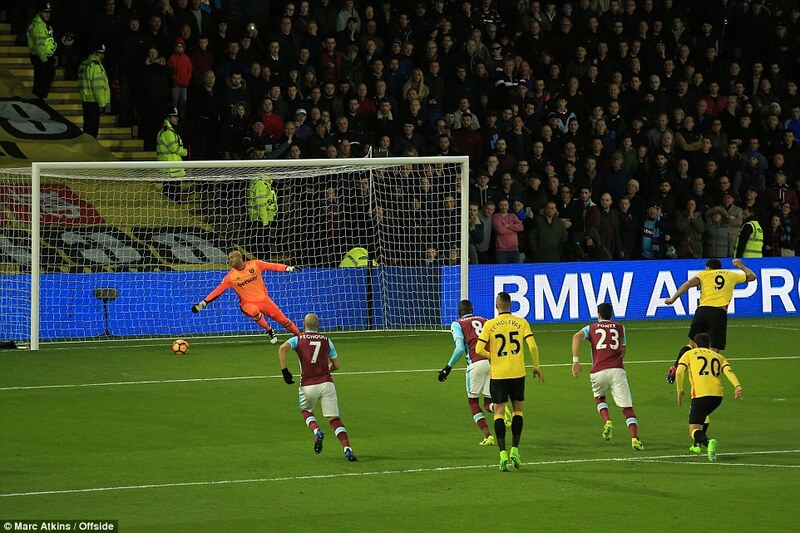 Bilic couldn’t believe it. Still, this was better from the away side and they were on top. 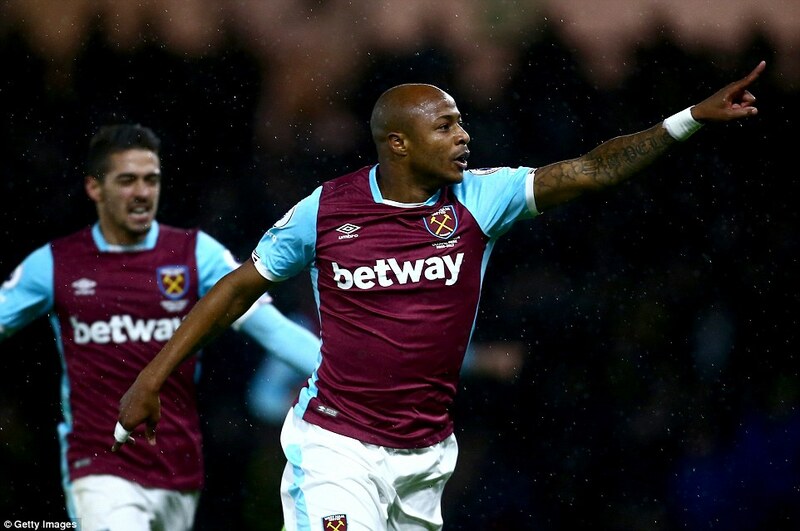 Antonio impressed up front on his own and was well involved in making it 1-1. 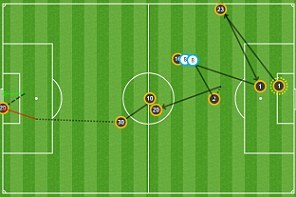 It was his shot from 20 yards which hit both posts then allowed Ayew to tap it in. Yet his day was not done. 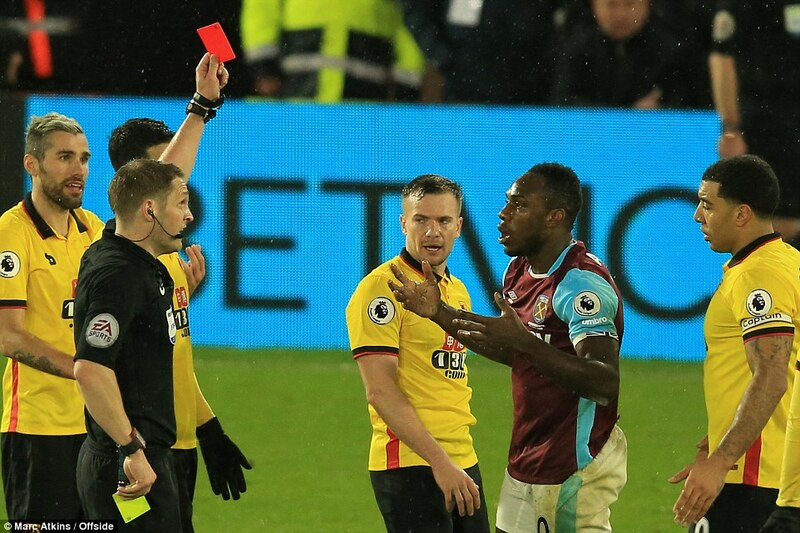 Antonio was shown a second yellow for handball after feeling he had been felled and West Ham were up against it. They survived several late scares and went home with a well-deserved draw.